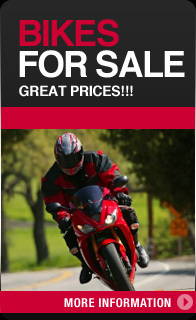 Welcome to the Leeds School of Motorcycling Website. We have been teaching people to ride motorcycles for over twenty years, so whatever type of bike or scooter you are looking to learn to ride you have come to the right place. We offer training to the highest standard in a safe, professional and fun environment on what is the only purpose built training facility in the area. So have a browse around our website and see what we have to offer. If you want to learn to ride a scooter just to get to work, or planning that round the world trip we will have a course that will suit you. 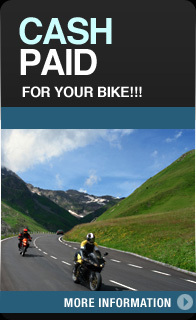 Motorcycling, what's it all about? It's not just a means of transport, it's a way of life, it's freedom, excitement, fun a social scene. Bikers always talk and pass the time of day with other bikers, so its a great way to make new friends. Bike events happen every weekend, road racing, rallies, custom shows, rideouts, charity events, the list is endless. Also it can be a cheap form of transport some bikes do a 100 miles per gallon, road tax from only £19 and free parking in most cities. Someone once said when you're in a car looking out, it's like looking at a movie, but when you're riding a bike its like you're in that movie, so what are you waiting for? It's time to start living and star in your own movie!